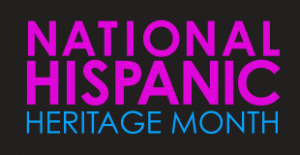 Hispanic Heritage Month begins on September 15 and ends on October 15. 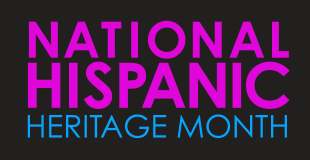 It is when we recognize the contributions made and the important presence of Hispanic and Latino Americans to the United States and to celebrate their heritage and culture. The roots of Hispanic Heritage Month goes back to 1968. It starts on September 15 because that is the anniversary of independence of five Latin American countries: Costa Rica, El Salvador, Guatemala, Honduras, and Nicaragua. In addition, Mexico, Chile, and Belize also celebrate their independence during this period. Genealogists can use a variety of resources to learn more about their Hispanic ancestors and relatives. Ancestry.mx is from Ancestry.com. It helps Mexicans and Mexican Americans to research their family history. The Ancestry Mexico website is entirely in Spanish. It includes collections of records similar to those you would find on Ancestry.com, but specific to Mexico. FamilySearch has a webinar titled “Introduction to Hispanic Research”. It is designed for people who are getting started with Hispanic research. The webinar discusses the research process, research logs, search tips, finding aids, and language helps. It also points out the important record types for researchers who are looking for ancestors in Mexico, Latin America, and Spain. FamilySearch also has a webinar titled “I Found My Abuela in Mexico, Now What?” It takes you step-by-step through a case study that will take you from the first ancestral record found through the next steps you should take to continue your research. MyHeritage has a blog titled “Spanish Naming Conventions – Part 1: The Basics”. It is a good place to start for people who do not speak Spanish. The Hispanic Genealogy Society of New York is a non-profit public service and educational organization, headquartered in New York City, where their volunteer staff organizes meetings, plans projects, provides instructional forums, and hosts seminars. They have resource links to Puerto Rico Vital Records, Puerto Rican Studies, Cuba Gen Web, and more. Members can use their website to research Argentina, Canary Islands, Chile, Cuba, Dominican Republic, Mexico, Puerto Rico, Spain, and Venezuela. The Hispanic Genealogical Research Center of New Mexico maintains and presents online the Great New Mexico Pedigree Database (GNMPD) using the WebTrees software. It allows multiple operators to input genealogical data that is available for viewing in real time. The Southern California Genealogical Society and Family Research Library has a detailed article that includes a list of resources that can help you to learn more about your Mexican and Mexican-American ancestors. It includes several books and a few websites.